We now offer a full-featured Bid and Request For Proposal (RFP) management system, which is integrated with our CMS. For our customers that post bids online, and who need to manage the responding bidders, while keeping the bid process secure, this is a dream come true. See your bid Planholders at a glance. 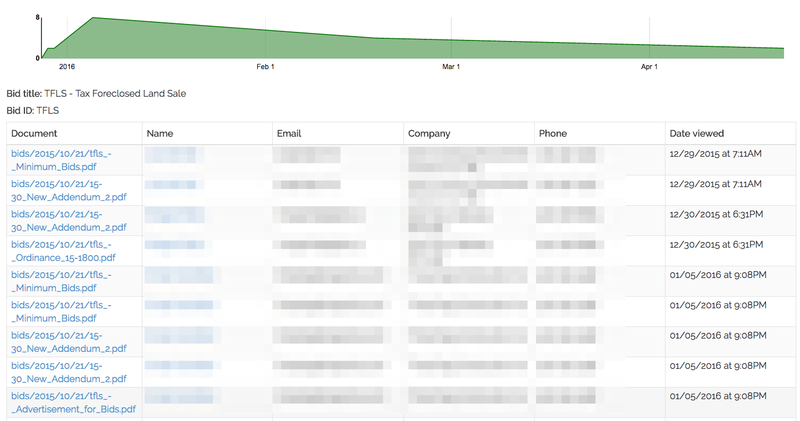 Every login, view, download, and submission is tracked. Contact us at sales[@]evogov.com or use our contact form for more information or a demo.